Arrive into Auckland (before 4pm) and be greeted with a transfer to your hotel. Spend the afternoon exploring this harbour city at your leisure before the welcome reception and highlight dinner with your group and tour guide at the hotel. A selection on New Zealand wines are included in the meal so enjoy yourself and get to know your fellow travellers. 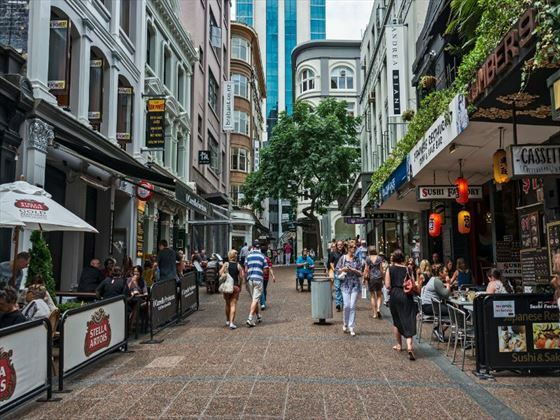 On your second day in New Zealand, begin with a sightseeing tour where you’ll visit Bastion Point, the War Memorial, Viaduct Harbour and the Auckland Harbour Bridge, among others. 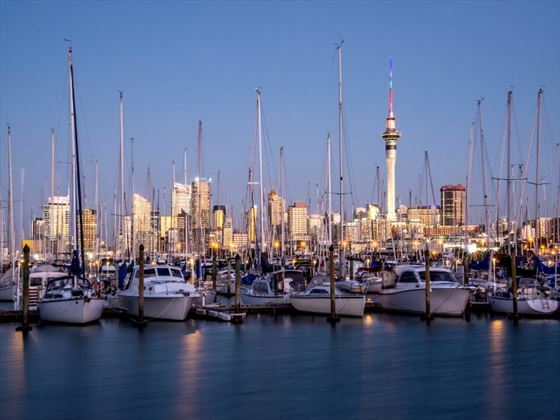 Later, take a cruise on the Waitemata Harbour and enjoy the sights from the waters. 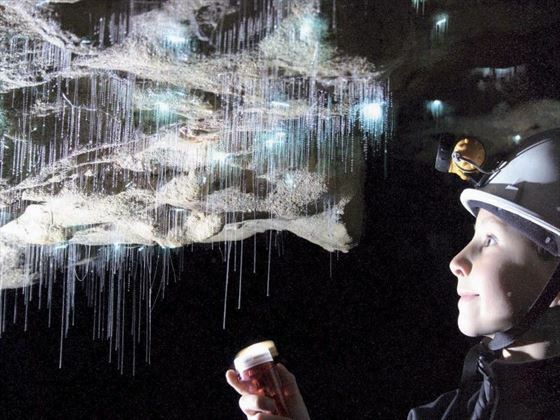 Journey along the Waikato River to the Waitomo Caves, where you’ll take a boat trip tour of the Glow Worm Grotto with a local guide. 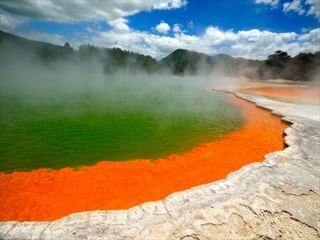 Walk through the limestone caves then continue on to Rotorua to visit Te Puia. You’ll be guided through the Whakarewarewa Thermal Reserve by a local Maori guide who will highlight the many unique features, including the bubbling mud pools and geysers. In the evening, you’ll be invited to attend the Tamaki Family Marae for the evening, being greeted by a Haka challenge and Karanga, and spending the evening enjoying traditional Maori life with a Hangi feast and local wine. 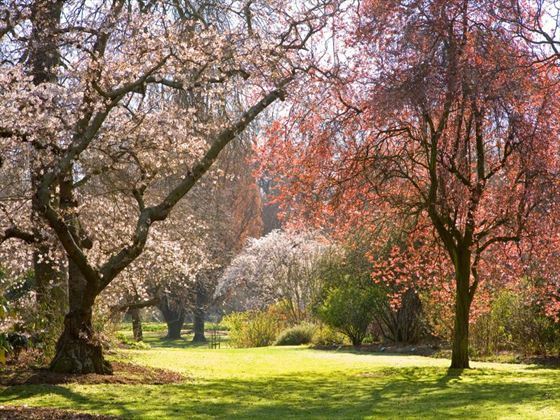 Enjoy sightseeing with a visit to the Rainbow Springs Nature Park, where you’ll explore with a local guide to discover the myriad ferns, trees and plants that grow around the springs. Afterwards, visit the Agrodome Sheep Show – an award-winning event – and witness the art of sheep shearing, milking cows, bottle-feeding lambs and an exciting sheep auction. 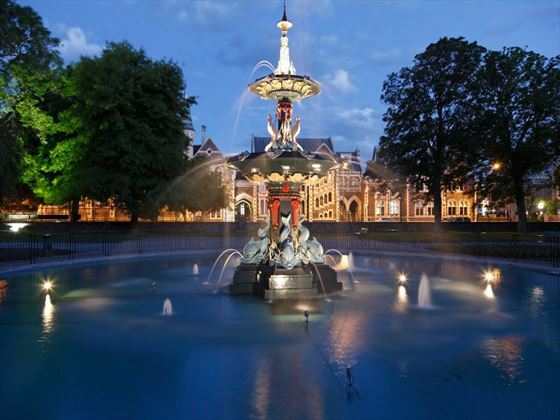 In the afternoon, fly to Christchurch. 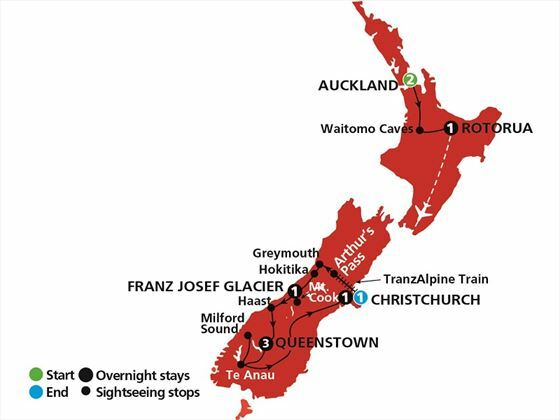 Begin your day with an awe-inspiring train journey on the Tranz Alpine from Darfield through the Southern Alps to arrive at Arthur’s Pass. 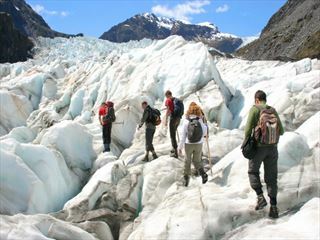 You’ll have the opportunity to visit a New Zealand greenstone (jade) factory and witness jewellery artists at work before arriving at Franz Josef Glacier – the world’s most accessible glacier. There is also the chance to see this amazing area from an optional scenic flight (weather permitting). Explore the beautiful scenery on your way to Queenstown today, driving over Haast Pass, past Thunder Creek Falls, and Lakes Wanaka, Hawea and Dunstan. Visit a local orchard in Cromwell to sample the delicious stone fruits before heading to the historic gold mining Arrowtown on the Arrow River. 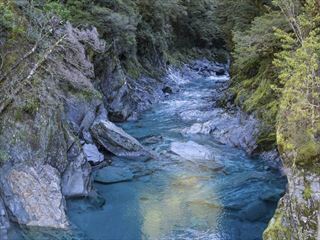 This was once one of the richest rivers in the world and a great place to stop off at on your way to Queenstown – New Zealand’s adventure capital of the world. Enjoy a highlight dinner at The Boatshed with your group and some spectacular views over the Lake and mountain range. 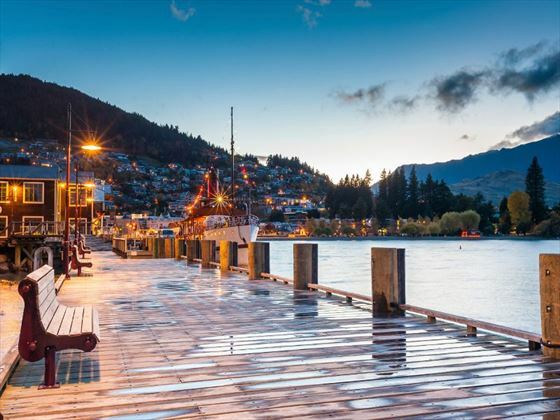 Make your way over the Devil’s Staircase and along the shores of Lake Wakatipu to arrive at Te Anau, home to the largest lake on the South Island. 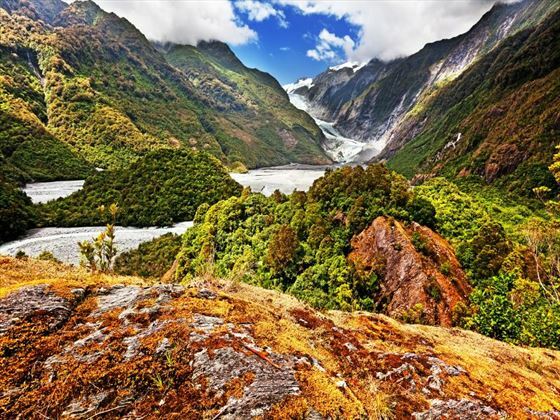 You’ll venture through the rainforest of the World Heritage Fiordland National Park to witness the breath-taking mountain ranges and glaciers. 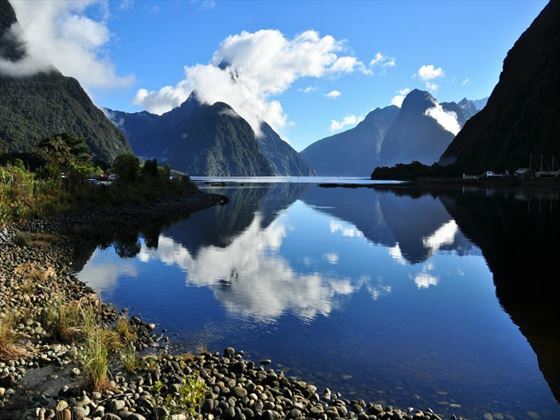 Drive through Homer Tunnel and experience the inspiring scenery along the way, offering up countless photo opportunities including Pop’s Lookout, Cleddau Valley and the Chasm, Mitre Peak, Mirror Lake and Bowen Falls. Cruise the natural wonder of Milford Sound while enjoying a delicious lunch; make your way back to Queenstown for the evening. There is a choice of sightseeing activities to enjoy today. 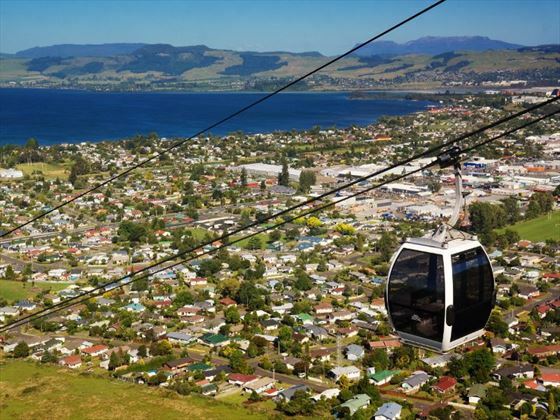 Opt between a ride on the Shotover Jet, joining a wine tour, playing a round of golf or taking a gondola ride to the Skyline Restaurant for dinner. You could perhaps take a 4WD minibus through Skippers Canyon or relax at Millbrook Resort with a rejuvenating spa treatment. 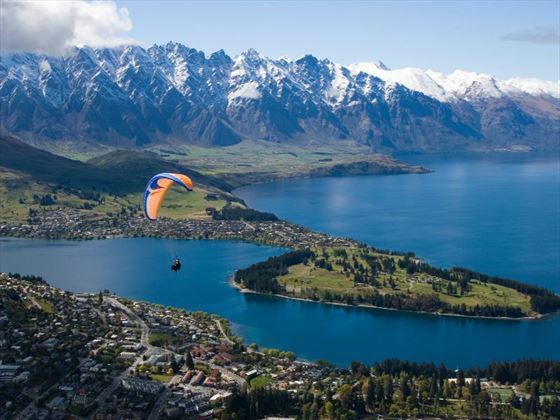 Alternatively, explore Queenstown on a Segway tour. Departure day, say farewell to your fellow travellers and transfer to the airport for your onwards flight. Great savings Save up to €500pp when you travel in 2019. Travel dates for 26 Apr; 24 May; 12 Jul and 13 Sep 2019.